The capital of Mexico, chaotic and exciting, is one of the most populated cities in the world. The historic center, built on the ruins of ancient Tenochtitlan and articulated around the huge Zocalo or Plaza de la Constitution, provides interesting buildings and areas of architectural and cultural value. The Alameda serves as a link to the main business artery, the Paseo de la Reforma, from which you access the Zona Rosa shopping and entertainment area, and Chapultepec Park, where the Museum of Anthropology, which houses the largest collection of pre-Columbian pieces of America. 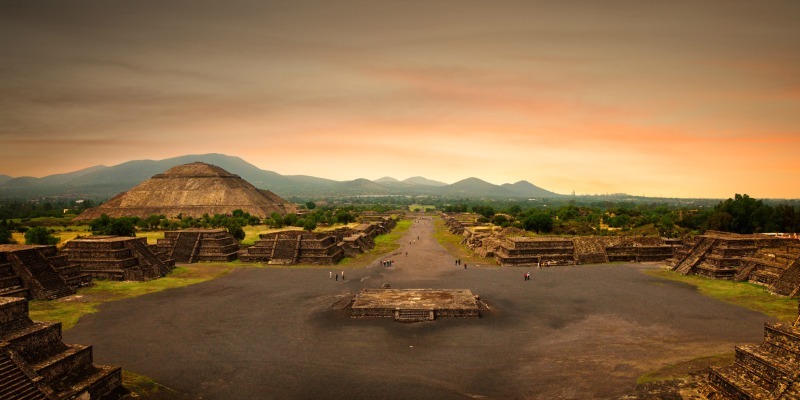 Approximately 40 km separates Mexico City Teotihuacan, impressive archaeological composed of the Pyramids of the Sun and Moon, the Avenue of the Dead, The Citadel, the Temple of Quetzalcoatl and the Quetzalpapalotl Palace. On the way to Teotihuacan will find the famous Basilica of Guadalupe, the main center of pilgrimage in the country. Over 300 years of colonialism have left definitely his mark in Mexico. In our travels we visited some of the major cities known as the “Route of the Colonial Cities” circuit. 51 stocks that have allowed Mexicans boast of the largest number of architectural and artistic works of the entire colonial America, many of them World Heritage Sites by UNESCO: Queretaro, Guanajuato, Aguascalientes, Zacatecas, Morelia, Taxco and Puerto Vallarta, also adds a lively nightlife and one of the favorite destinations for sun and beach. Also emphasize Baja California, a semi-desert paradise embraced by the sea of cuts with beautiful beaches, bays and ancient Jesuit missions. Few Mexican states combined so perfectly natural and cultural attractions Chiapas way. 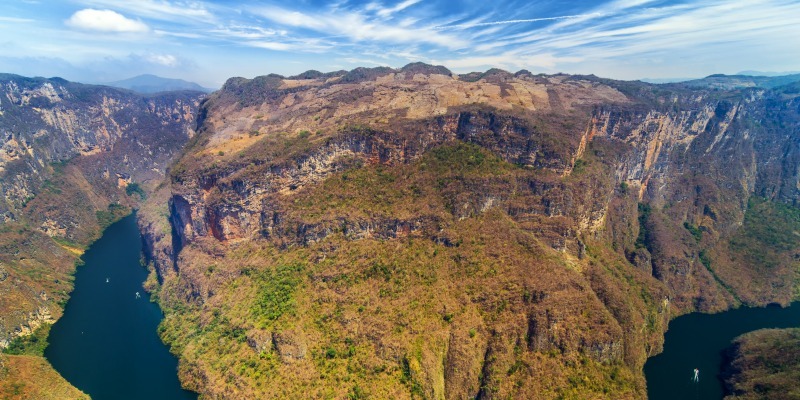 The National Park Sumidero Canyon, the Lacandon jungle, river and waterfalls of Agua Azul, jumping Misol-Ha, Montebello Lakes are places of great scenic beauty. In San Cristobal de las Casas, colonial heart of the region, syncretism that combines the ancient rituals and sacred Indian traditions with Catholic liturgy is observed. Close to San Cristobal are the Indigenous Communities of San Juan Chamula and Zinacantan clear example of living cultures of Chiapas. The state visit is complemented by one of the archaeological gems of Mundo Maya, Palenque, a vast complex of buildings and terraces of paramount importance to understand the evolution of the Mesoamerican culture. Campeche contributes as a featured destination, its capital city, which names the state and offers a beautiful half-walls. Its historic center care earned him the declaration of a World Heritage Site by UNESCO. Merida, the capital of Yucatan, has exquisite architecture that can be seen in the beautiful mansions of the Paseo de Montejo, a clear European influence. 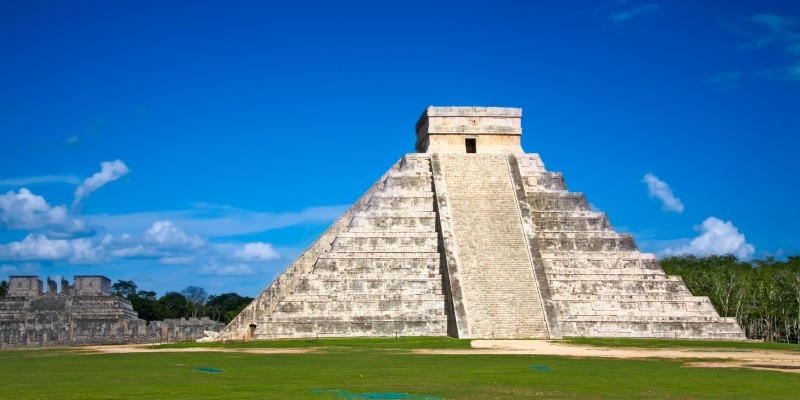 Two archaeological sites impose their presence in the Yucatan. Uxmal, one of the most beautiful sets of the call Ruta Puuc and Chichen Itza that summarizes the magic and mystique of the enigmatic Mayan World. Puerto Morelos to Punta Allen north and south bound a strip of 130 kms. 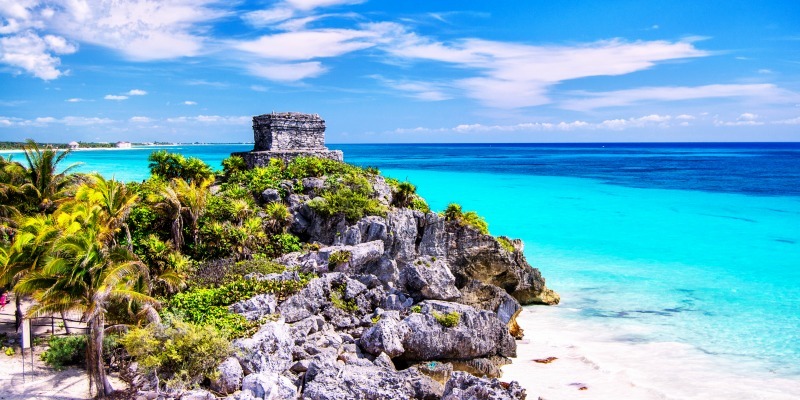 Long known as the Riviera Maya, in the state of Quintana Roo. 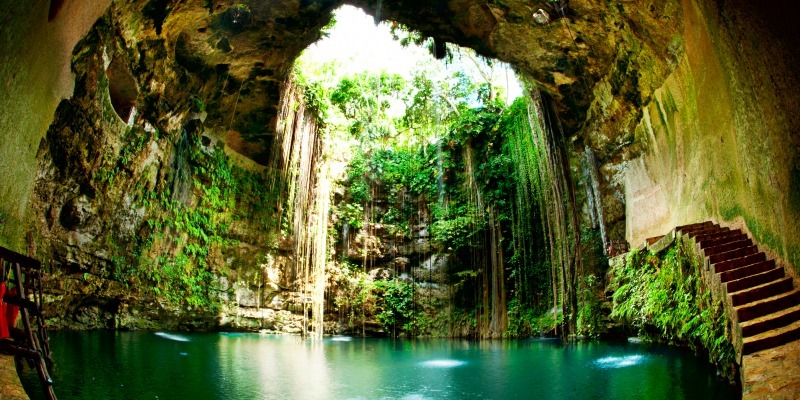 It is next to the town of Cancun, the most visited destination in Mexico. Long beaches, clear turquoise waters and large resorts hues. 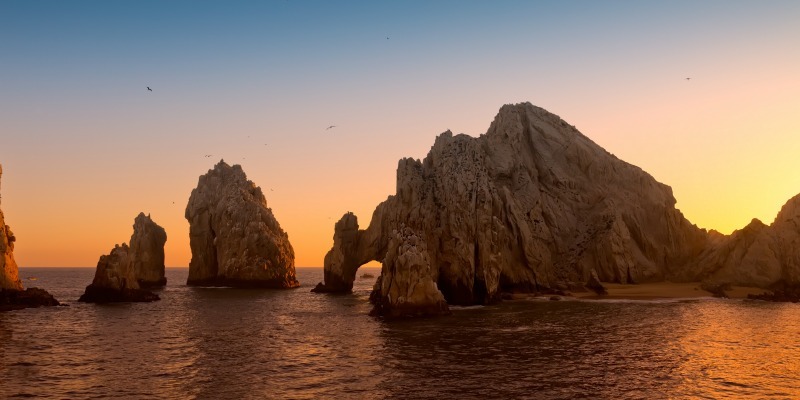 Take a look now to our special tours and offers to Mexico!